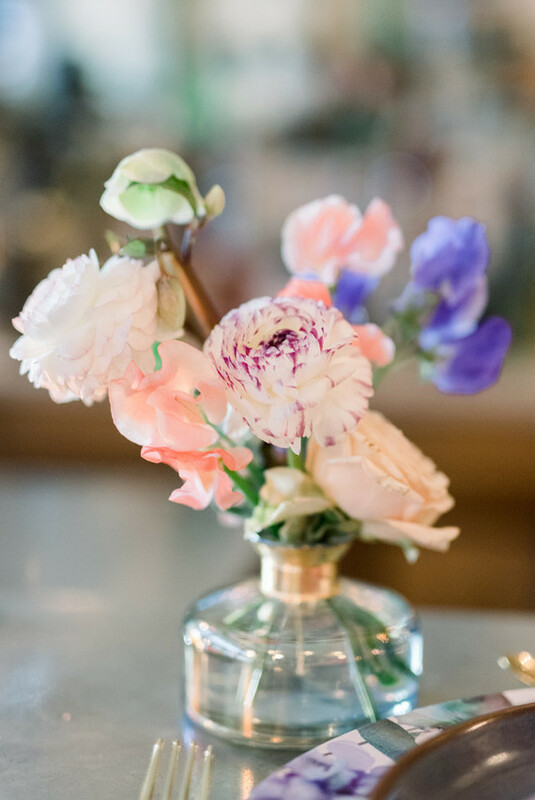 Happy Monday, friends! 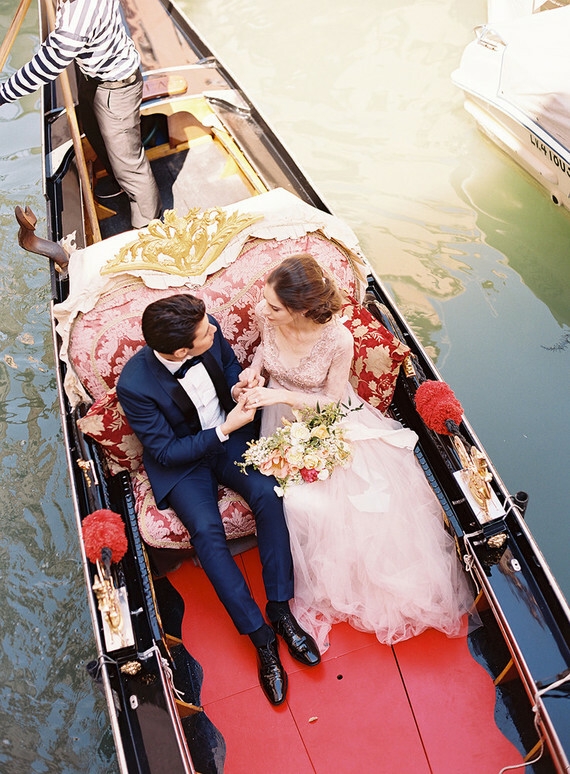 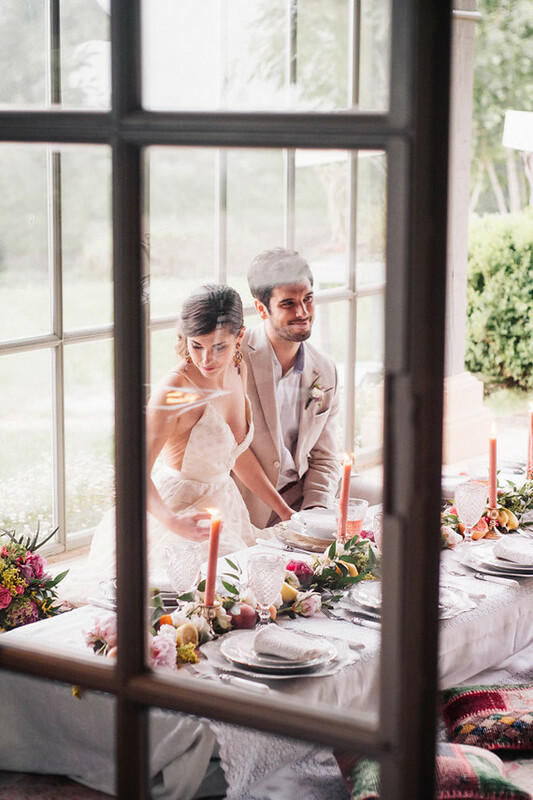 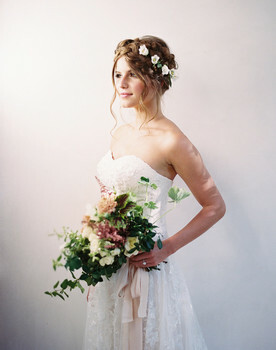 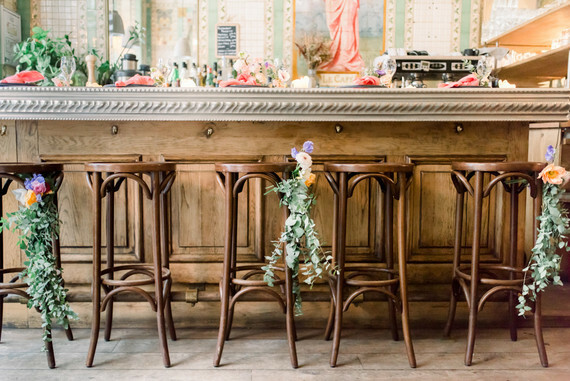 Ever wonder how to elope in Paris… particularly in the spring? 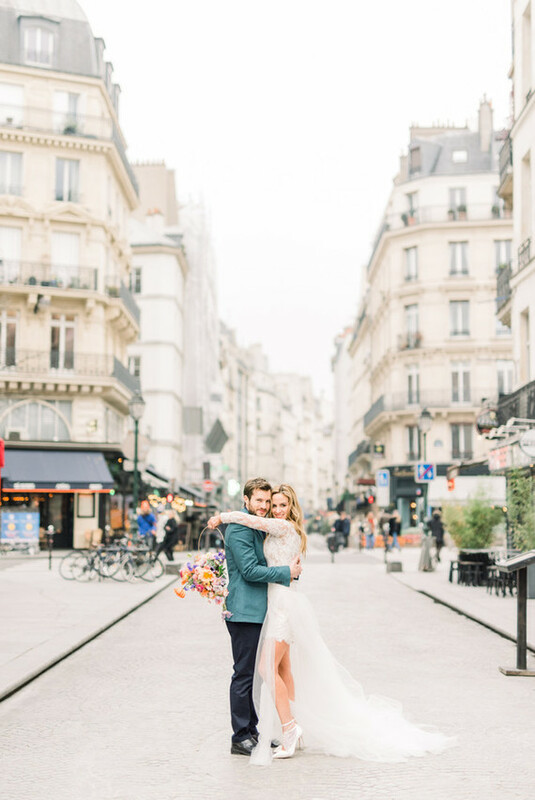 We shared our friend Janel’s Paris elopement many, many moons ago and honestly, we haven’t looked back since. 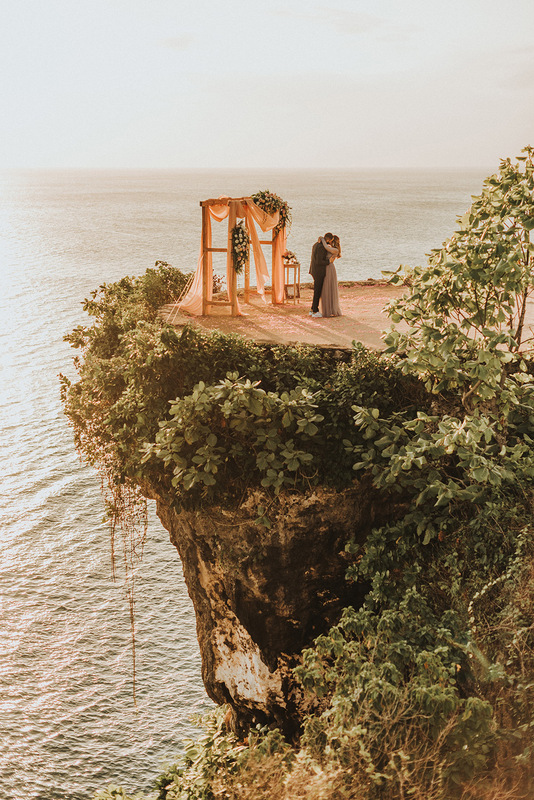 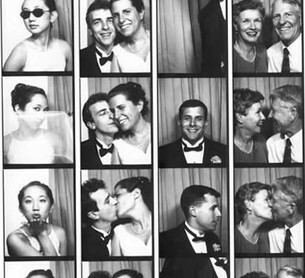 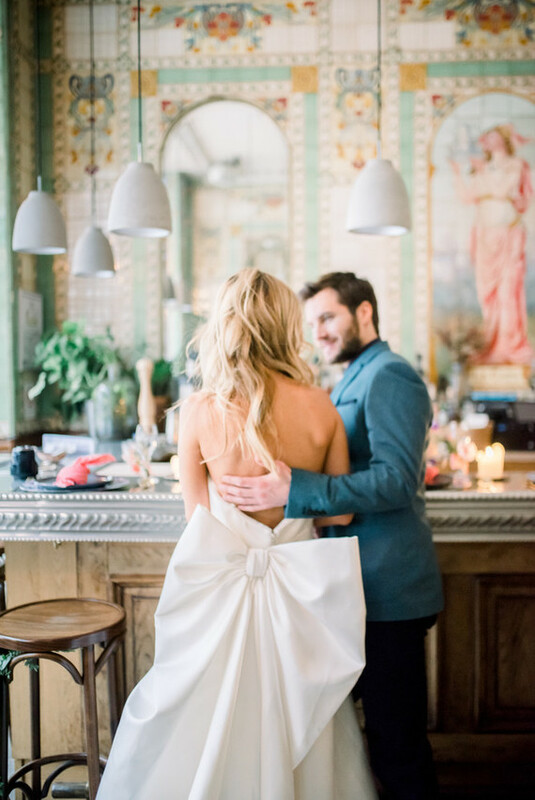 Then there were these tips for getting married in Paris and a fashion designer’s chic French wedding. 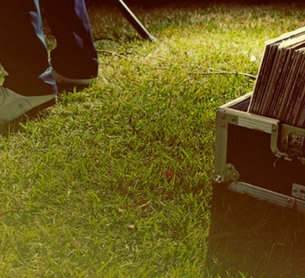 You can see why one might fall in love with the very idea, yes? 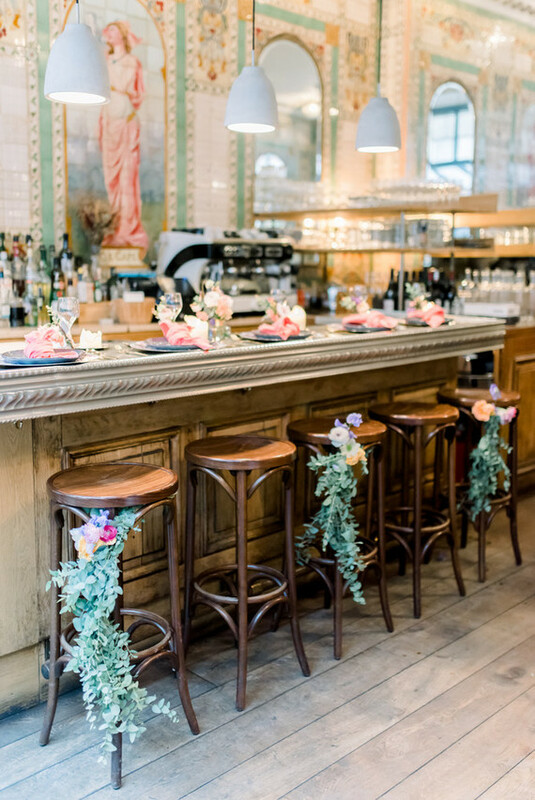 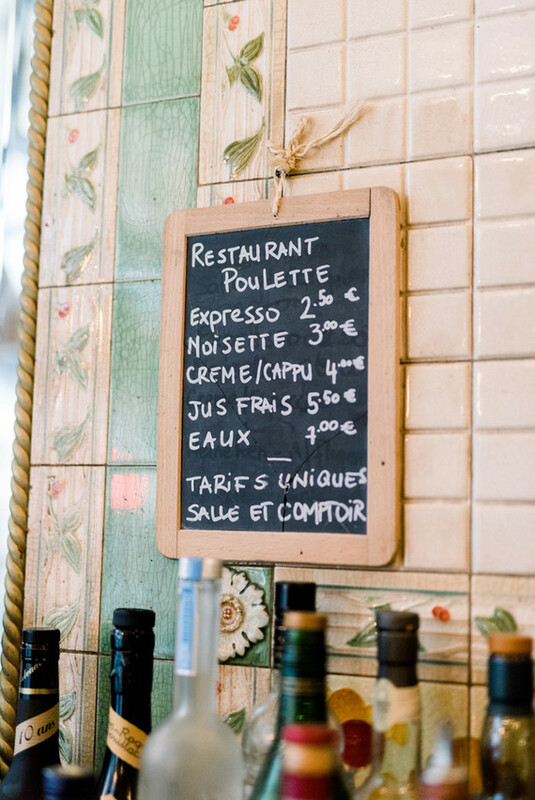 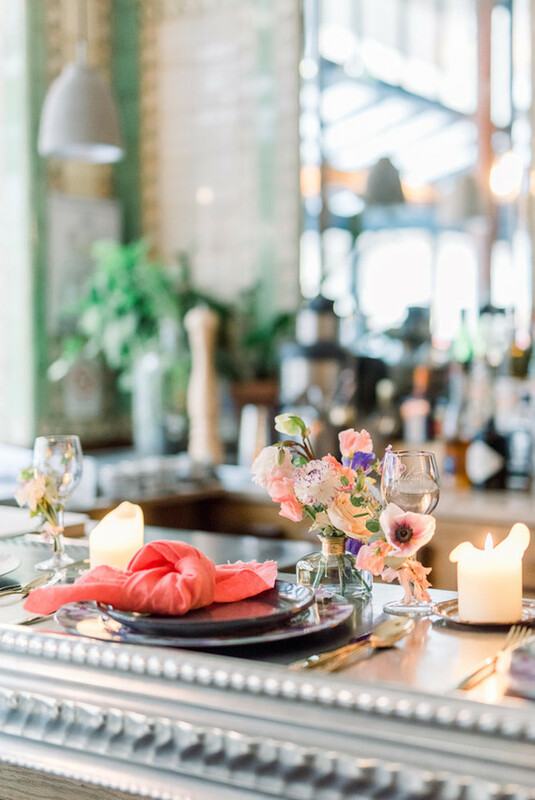 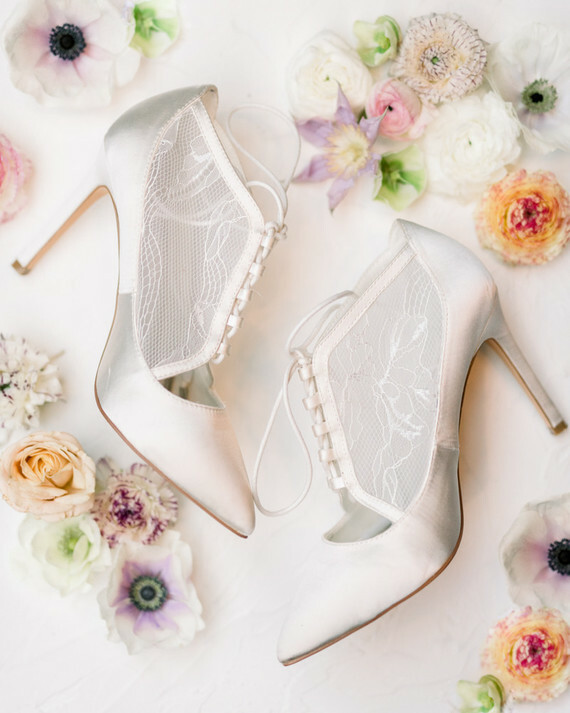 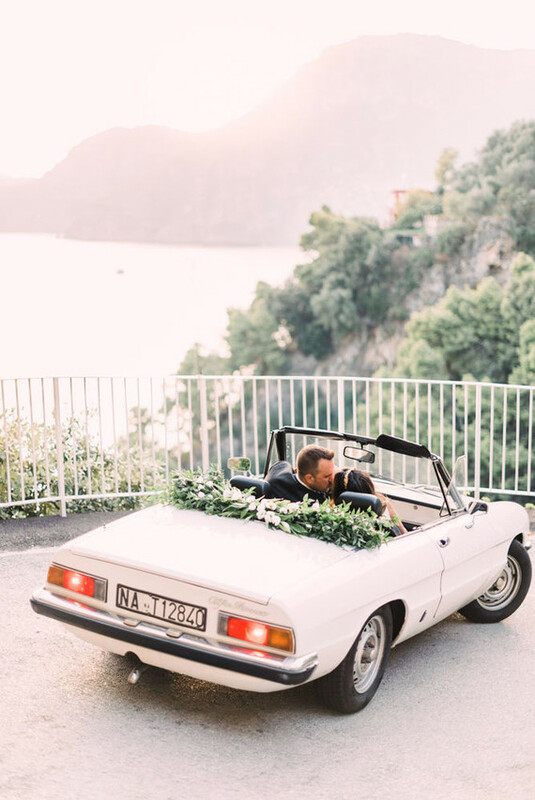 So when Janine of Janine Licare Photography sent these photos our way, of an elopement at the beautiful Poulette Restaurant in Paris, we had to get the scoop. 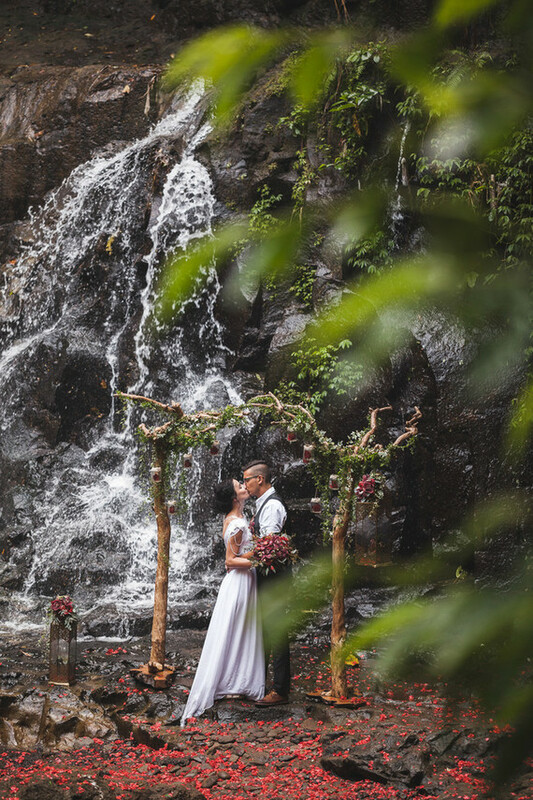 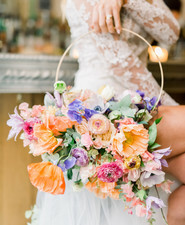 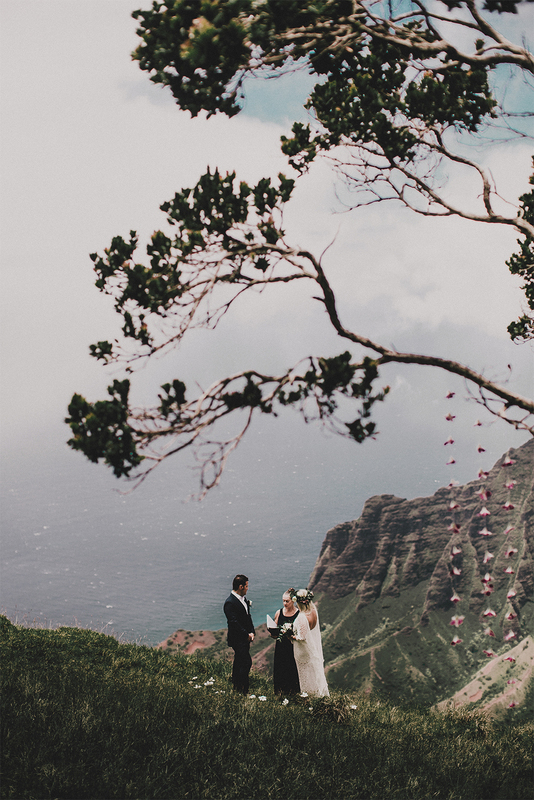 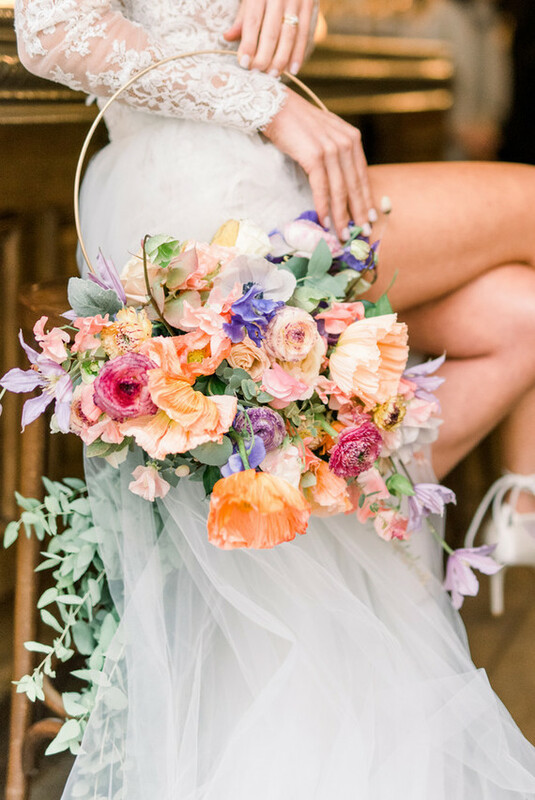 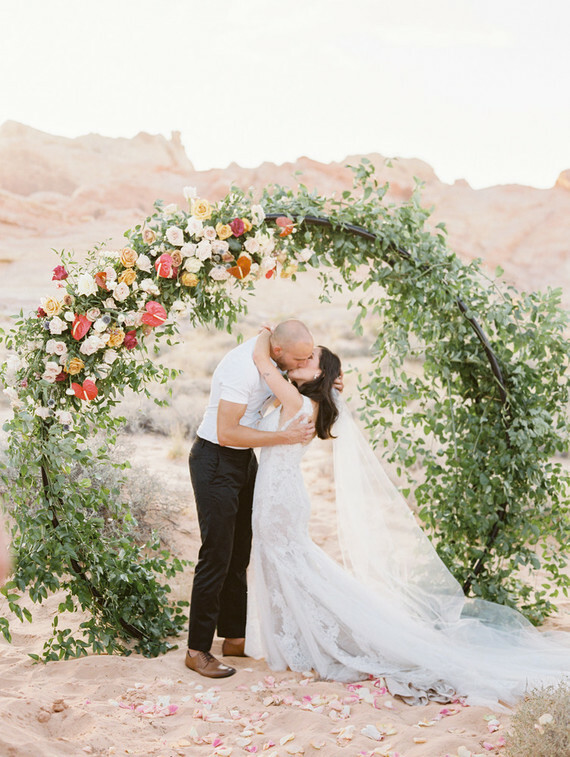 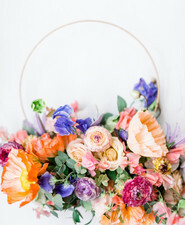 Such a pretty, vibrant floral hoop for the bride, made by Laure Lalliard Design, who was also behind the planning and design for this elopement. 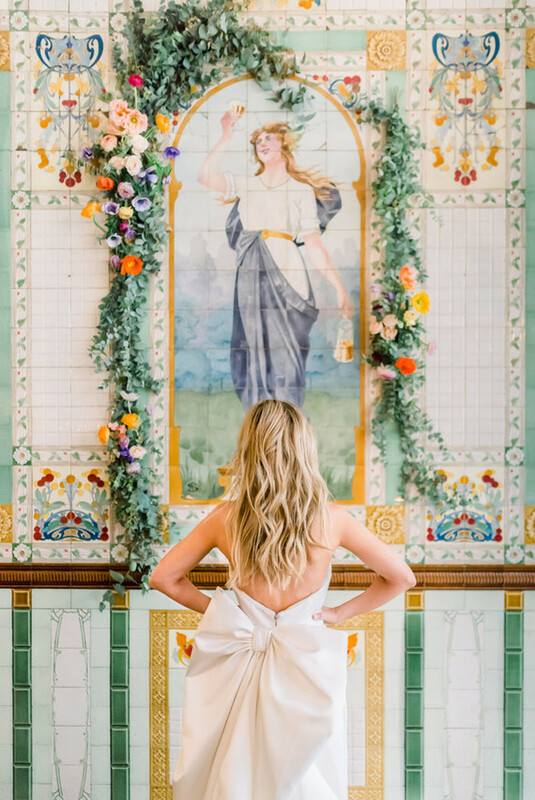 The Art Nouveau movement was at the heart of their concept for this shoot. 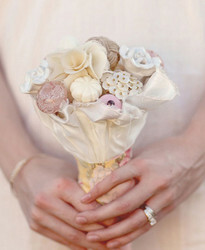 It was all about the idea that “no object is too utilitarian to be beautiful”. 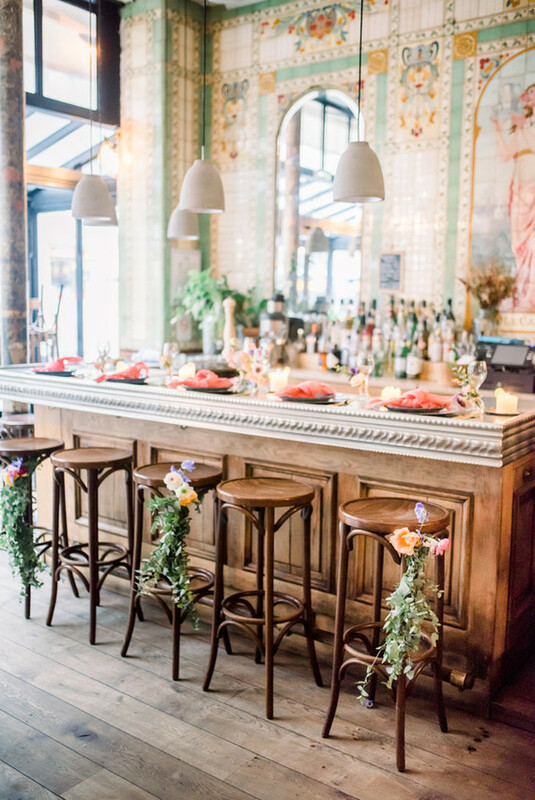 From the floral embellishments on the high-top bar stools and the mini-floral arrangements adorning each wine glass, to the highly elaborate mosaics covering the cafe walls from floor to ceiling, every detail was purposeful and embodied this stylistic ideal. 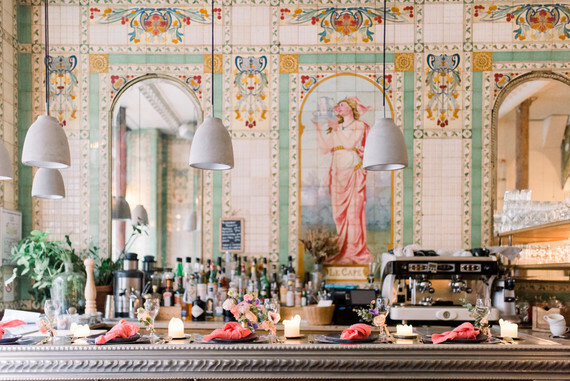 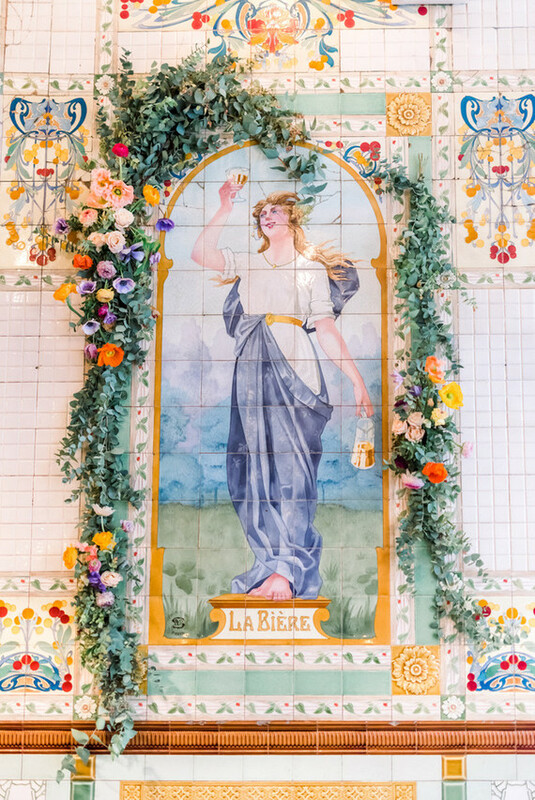 Poulette is known for its Art Nouveau aesthetic—and they used the tiles as inspiration for their color palette. 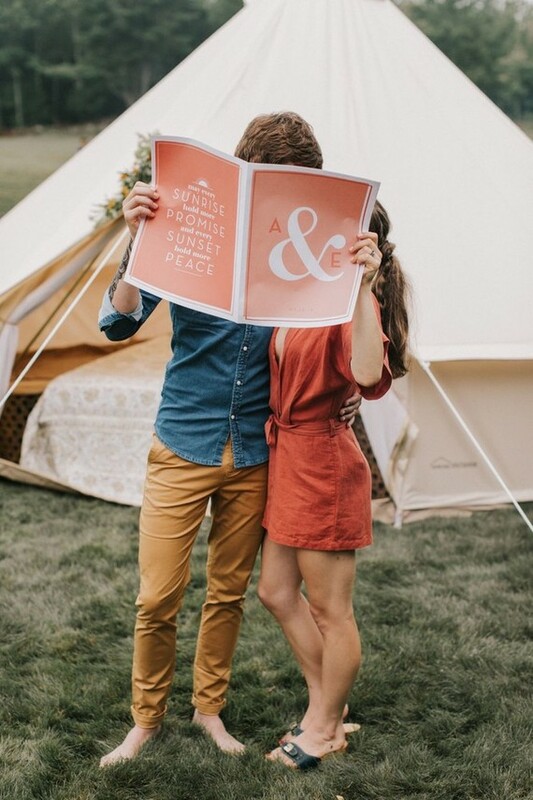 Gahh!! 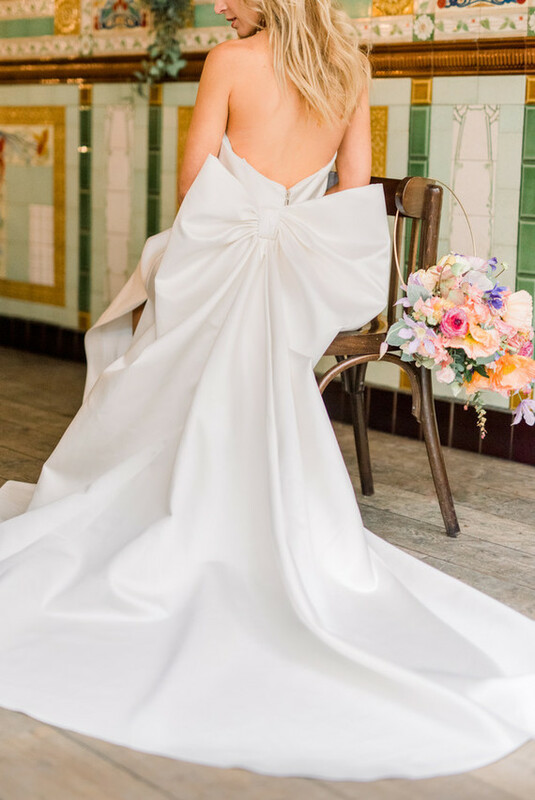 This Viktor and Rolf wedding gown with its dramatic bow. 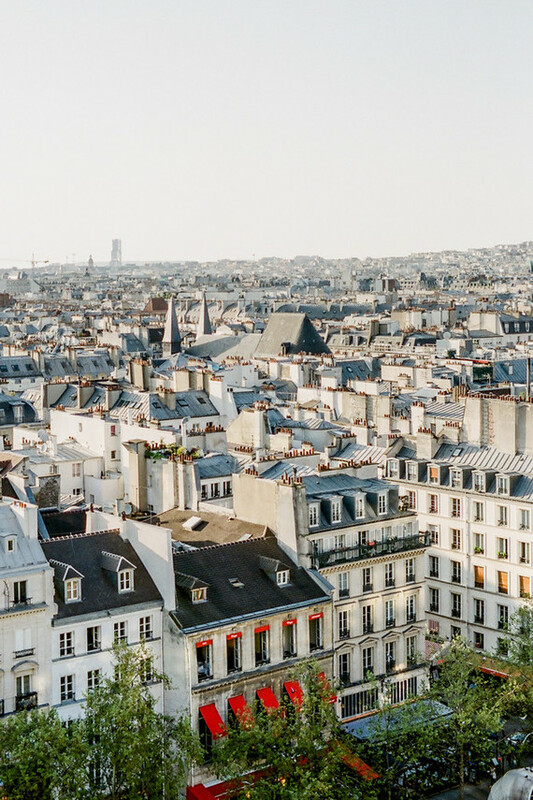 So good for Paris, right? 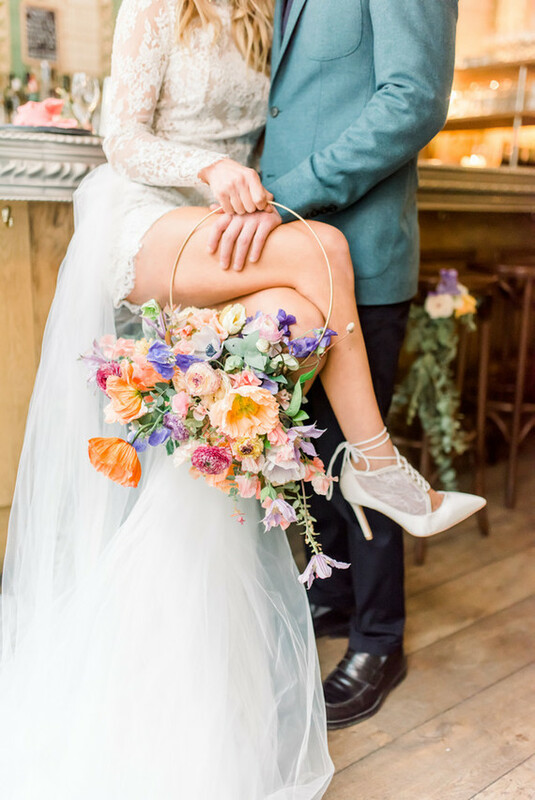 The bride’s second look, a stunning two piece from Sylwia Kopczynska, had a lace long sleeve top and a layered lace skirt, for a more playful approach. 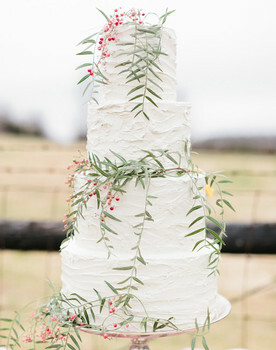 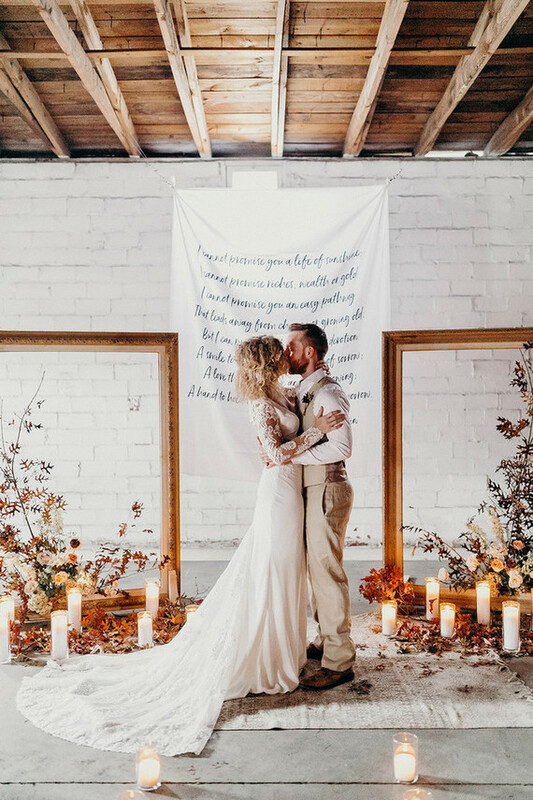 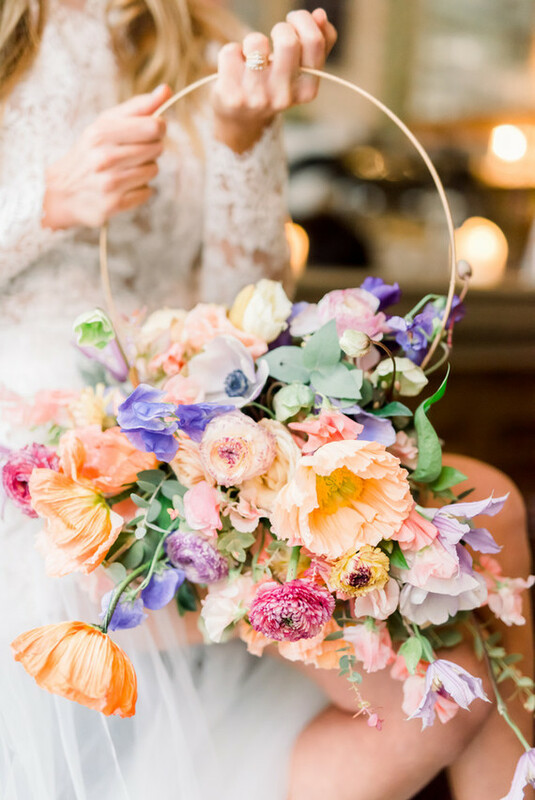 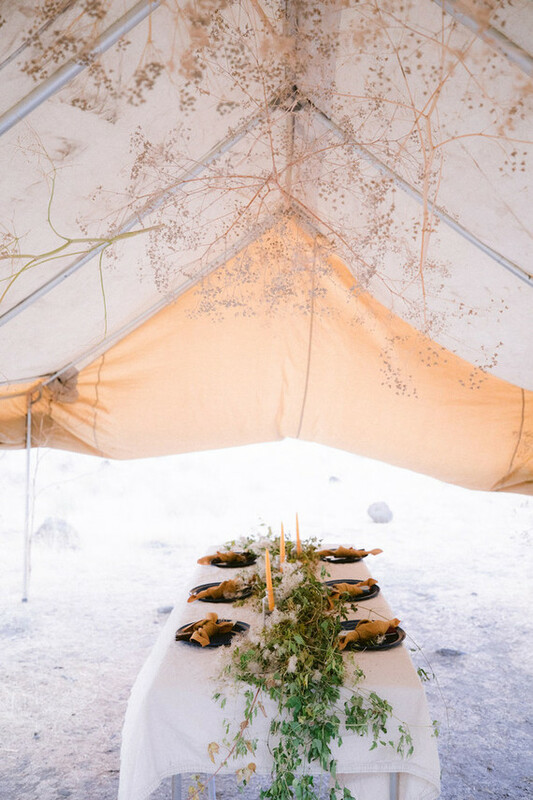 Blooms featured included ranunculus, sweet peas, hellebores, clematis, anemones, sweet violet, Icelandic poppies, and eucalyptus. 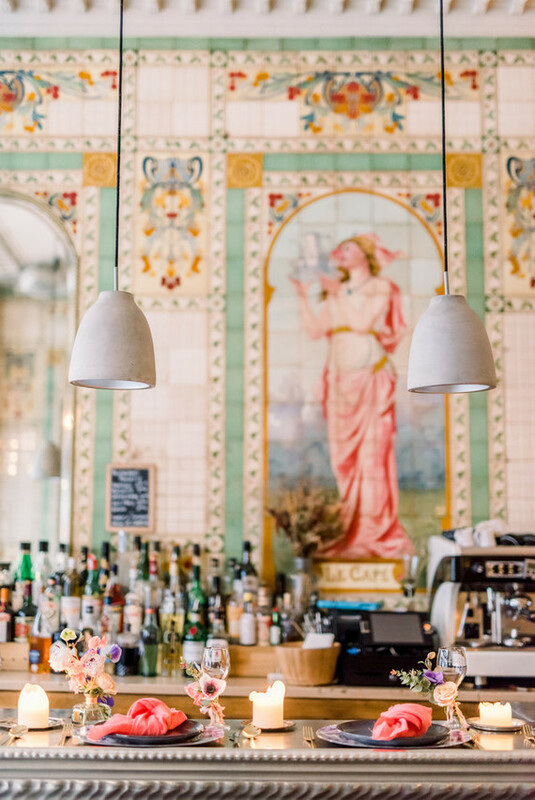 For the portraits, we started in the cafe, which embodies the side of Paris that is more spontaneous than the typical Parisian romance. 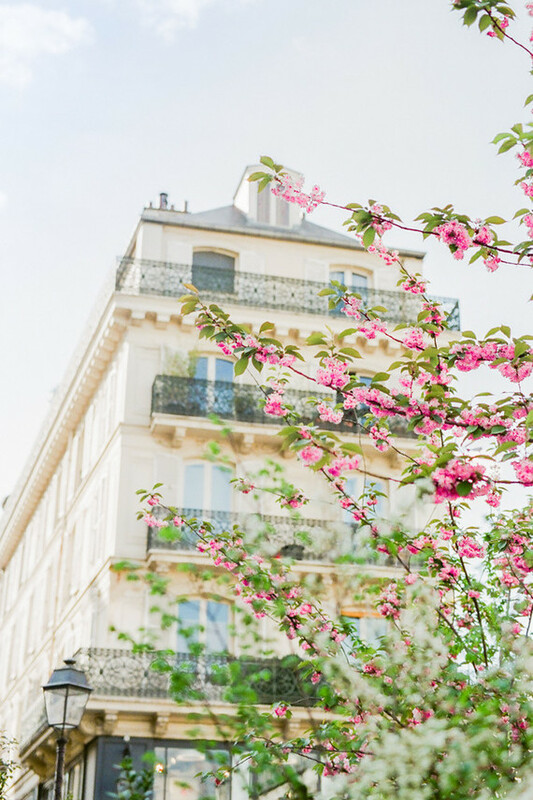 We then explored the winding streets of the 2nd Arrondissement, keeping true to the authentic Parisian ideals that inspired the shoot.